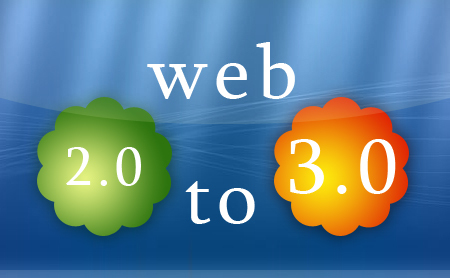 What Will Web 3.0 Look Like? Posted on June 22, 2011 Author by Mark Hall	No Comments on What Will Web 3.0 Look Like? Building products and services for today’s environment may allow you to build a successful company, but building products for tomorrow’s world will allow you to guide our society into a new age. As a technological society, we have evolved from the early days of content-based websites, to e-commerce businesses, to social networks. The companies who will lead the future will be those who understand what the next evolution of the web will be, how to provide the most value to users or customers, and how to monetize this process. I came across a great video from TechCrunch with Reid Hoffman, co-founder of LinkedIn, and Tim O’Reilly, of O’Reilly Media, in which they discussed what the web’s biggest superstars may look like in the future. Based on their experience and contribution to today’s internet, I find their opinions and outlooks very insightful. This video is a must-watch for anyone who is considering being a leader in the internet space. How will you make your imprint on the future web? Do you agree with the assertions and ideas of Hoffman and O’Reilly? Either way, the web will continue to evolve. The manner in which we use data and technology will continue to change. What role will you play?